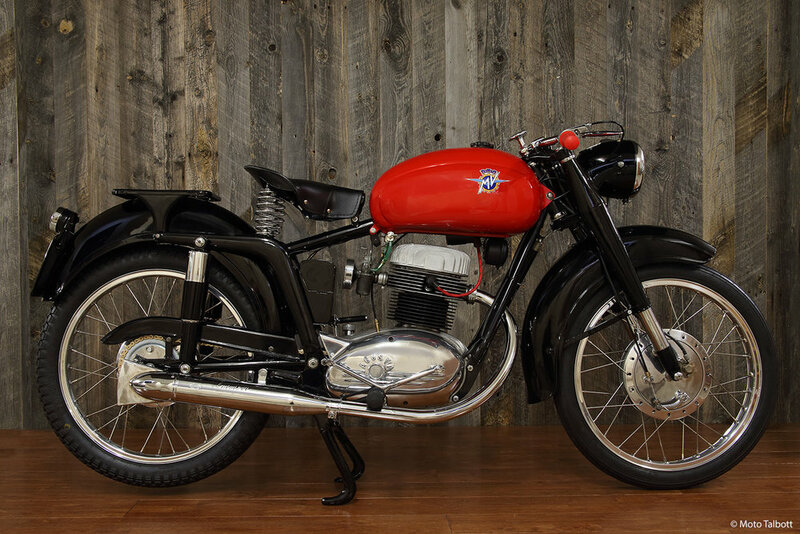 Call it a tale of two MV Agustas: we acquired two 1954 175cc CST models at the same time, from an owner in Tehachapi, California. Believe it or not, at that point they both looked the same. “They’d been sitting for who knows how long,” says Moto Talbott curator and restorer Bobby Weindorf. “One of them was completely locked up, and the other could be kicked over. So that was the one I decided to restore.” The result, as you can see here, is spectacular, and was accomplished in just six weeks. “I tore it down in an afternoon, andsent the parts out to thepainter, the polisher, the plater, and the powdercoater,” says Bobby. He got everything back in short order, and assembled the bike in three days. The two bikes you see here are in fact slightly different: one is actually a CSTL, with the “L” signifying it has a longer (touring) seat. 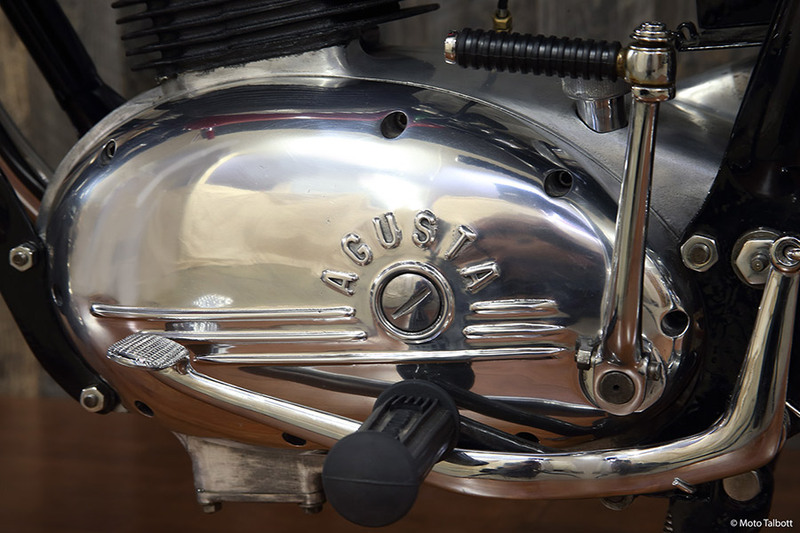 MV Agusta CSTs are commonly used in “Motogiro,” events, which put a premium on reliability and are restricted to models of 175cc or less.